Welcome! The Canadian government has created several immigration by investment programs to attract wealthy business persons and their capital to Canada. 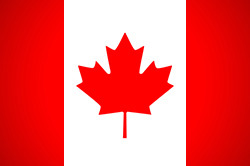 Canada is the second largest country in the world and largest on the North American continent. It is one of the world's wealthiest nations and has one of the world's highest qualities of life. Today Canada closely resembles the US in its market-oriented economic system, pattern of production, and high living standards. Full citizenship and passports are issued to the applicant and his/her family. The relaxed life style, stable political, justice, economic and social environment, excellent educational and health system, relatively moderate personal tax system, advantageous corporate tax rates, multilingual population and worldwide known Canadian tolerance of other cultures, have made Canada one of the most desirable countries to live, do business, raise a family, or work and invest. SUMMARY: Invest at least CA$ 200,000 outside of the greater Vancouver area (CA$ 400,000 inside the Vancouver metropolitan area) to establish or to purchase and expand an eligible business in the British Columbia province. SUMMARY: Applicants must secure an investment of at least CA$ 200,000 if the investment is from a designated venture capital fund, a minimum of CA$ 75,000 if the investment is from a designated angel investor group, or must be accepted into a designated business incubator. Applicants are not required to invest any of their own money. SUMMARY: Invest at least CA$ 1,200,000 into a zero interest, Quebec Government Bond, for five years. A financing option might be available starting from CA$ 300,000. Other, less popular programs include the Manitoba Provincial Nominee Program (MPNP-B), the Ontario Provincial Nominee Program (OPNP-B), as well as the Investor Venture Capital Pilot program. The government of Canada as well as several Canadian provinces and territories have adopted programs which allow the acquisition of residency and/or citizenship on the basis of an investment. Holders of a Canadian passport enjoy visa free travel to approximately 172 countries, including the US and the European Union, specifically all European countries of the Schengen area. Canadian residents may apply for citizenship after five years in residency status. This program is designed for experienced entrepreneurs who are ready to invest in and actively manage a business in British Columbia, Canada. 1. Invest at least CA$ 400,000 to establish or to purchase and expand an eligible business inside the Vancouver metropolitan area, or CA$ 200,000 anywhere else in British Columbia. 2. Create at least one new job in the business for a Canadian or permanent resident. 3. Own at least one third (33.3%) of the equity of the business, unless personal equity investment is at least CA$ 1,000,000. NOTE: Due to the popularity of this program the chances of application approval increase with the size of the investment. 1. A personal net worth of at least CA$ 600,000. 3. Sufficient unencumbered personal funds to make the required investment a viable business proposal. 4. Sign a Performance Agreement with the Province of British Columbia. 5. 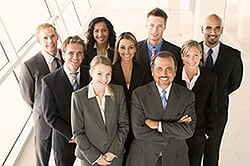 Provide active and on-going participation in the day-to-day management and direction of the business. 4. Partner with a local or foreign entrepreneur to establish a new business. 1. The business must be operated for the primary purpose of earning profits from active income through the provision of products and/or services. 2. The business must have good potential for sustained commercial viability. Applications will NOT be approved where the BCPNP is not satisfied that the proposed business has the potential to be commercially viable in British Columbia. 1. Bed and breakfasts, hobby farms and home-based businesses. 2. Pay day loan, cheque cashing, money changing and cash machine businesses. 5. Automated car wash operations. 6. Sale of used goods (excluding collectibles, or where the business provides value-added services such as repairs, refurbishing, or recycling). 7. Real estate development/brokerage, insurance brokerage or business brokerage. 8. Businesses involved in the production, distribution or sale of pornographic or sexually explicit products or services, or in the provision of sexually oriented services. 10. Video and DVD rental stores. 12. Personal dry cleaning services. 13. Any other type of business that by association would tend to bring the program or the Government of British Columbia into disrepute. Professional fees are approximately CA$ 40,000 plus CA$ 5,000 per dependent to be included in the application. Government and business broker fees amount to between CA$ 15,000 - CA$ 20,000. The purpose of this program is to bring innovative young companies and their entrepreneurs to Canada, furthering the innovation/entrepreneurial ecosystem. The program provides access to an expedited immigration process specifically for start-up entrepreneurs. 1. Obtain a letter of support from a designated Canadian investor organization. 2. Secure an investment of at least CA$ 200,000 if the investment is from a designated venture capital fund, a minimum of CA$ 75,000 if the investment is from a designated angel investor group, or must be accepted into a designated business incubator. 3. The applicant must be able to communicate and work in English and/or French. 4. The applicant must have completed at least one year of study at a post-secondary institution. 5. The applicant must have sufficient settlements funds to support themselves and their family once they immigrate to Canada. 6. For admissibility requirement, the applicant and accompanying family members must undergo security, criminal checks and a medical examination. The applicant receives a temporary work permit to start implementing his/her idea and working closely with the designated Canadian investment organization, which issued a Letter of Support. This stage may take one to two months, depending on the visa office that will be processing applicant’s work permit application. The applicant and family may apply for permanent residence in Canada once all eligibility criteria have been met. The application processing takes approximately six (6) months to be approved. Professional fees are approximately CA$ 35,000 plus CA$ 5,000 per dependent to be included in the application. Government fees are low, and amount to between CA$ 1,000 - CA$ 2,000. The most popular path of immigrating to Canada as an investor is the QIIP, given it is a Government guaranteed, passive investment program with no stringent language, age or minimum education qualifications. 1. Prove a minimum net worth of CA$ 1,600,000 (if spouse included as dependent on the application, her assets may be included as well). 2. Invest CA$ 1,200,000 in a zero interest, Quebec Government Bond, for five years. Please note that most financial intermediaries will offer an up-front, all included, one-time financing package from approx. CA$ 300,000 which will cover the full CA$ 800,000 investment and interest over five years including all of the set-up costs. With this financing option, the immigrant investors do not have to liquidate high yield investments in other countries to complete the required investment, which may also trigger undue tax consequences, while protecting against interest rate increases during this 5 years period. It also allows investors to use the available funds to acquire a property in Canada. 1. Qualified business experience through business management or corporate employment management positions in 2 of the last 5 years. 2. Proof of how he built his current wealth and declare the nature of his assets and holdings. 3. Confirm ‘intentions' to settle in the Province of Quebec. However, once selected and granted status of Permanent Resident, any new Canadian Permanent Resident may choose to reside in the province of their choice. Please also note that are no age requirements and no language requirements, but knowledge of English or French is a good asset. In order to manage immigration intake levels, the QIIP has introduced an annual quota, and each Financial Intermediary is given a portion of the overall quota. If you are seriously interested in this program we invite you to start the process at the earliest and be diligent in the document collection phase as all applications are accepted on a first-come first-served basis. French speaking applicants would be considered in priority, as the quota and intake closure do not apply to them. Professional fees are approximately CA$ 25,000 plus CA$ 5,000 per dependent to be included in the application. Government fees are approximately CA$ 17,000 - CA$ 20,000. Please contact us for a detailed cost estimate or confidential consultation. Our associated attorneys are ready to assist you with attaining your investment objectives and answer any questions you might have about the Canadian Residency / Citizenship by Investment programs. Our immigration associates in Canada are working exclusively on Citizenship & Residence matters and will stand by your side throughout the entire application process, from start to finish. The team will work with you until your residence or citizenship by investment application has been approved and you have received your residence certificate or Canadian (EU) passport. CANADA: British Columbia Provincial Nominee Program (BCPNP). Permanent Residency from CAD 200,000. Citizenship after 5 years. CANADA: Federal Startup Visa Program Residency (FSVP). See description. CANADA: Quebec Immigrant Investor Program (QIIP). Permanent Residency from CAD 300,000. Citizenship after 5 years.